From 14 till 23 march 2008 I made a trip to Arizona. Together with my son Jasper I went to the Grand Canyon and Monument Valley to make some photos. This was I live time wish, which came now into realisation. We had great weather with a lot of sun and beautiful sunsets. I focust on making panorma pictures in this landscape. Vistit also Boertjens.eu with travel pictures of my son Jasper. We visit Belgium every now and then. Antwerp in the north lies near the river Schelde and has a rich history. You can visit the antique markets and drink a good glas of beer without the feeling to get robbed. The main towns all have old cathredrals with paintings and sculptures of famous artists. If you have time visit the battlefields of the first World war near Verdun. If you didn't allready know, you will find out how useless milions of lives was taken here. The Ardennen has beautiful nature and is ideal for surfival holidays. Enjoy the pictures. Denmark is a facinating country. Going to Norwy and Sweden you will pass this country. Stop in Copenhagen, visit the Karin Blixen museum (Out of Africa) and go on and visit the Louisiana museum. There is a very nice nature, beaches, and so on. Entering France one has to get used to pay for driving the high way (route de payage). So when you have time, take the Route National and go across the country. The Normandie is a must to see. The beaches still show the scarfs of heavy battle during the invasion in Juni 1944. You can enjoy good meals. People talk their own language so learn a little France before you go. Our neighbouring country Germany has a great nothern part, called Ost Friesland. Long ago It used to be a part of the greater Friesland and the peoples of nothern Holland and Germany have a common langue 'Grunnings'and 'plat Deutsch'. Every now and then we visit this part of Germany by motorbike and stay in places as Greatsiel, Jever Oldenburg or Wilhelmshaven. The pictures were taken on a visit from 21 tot 27 of November 2006. 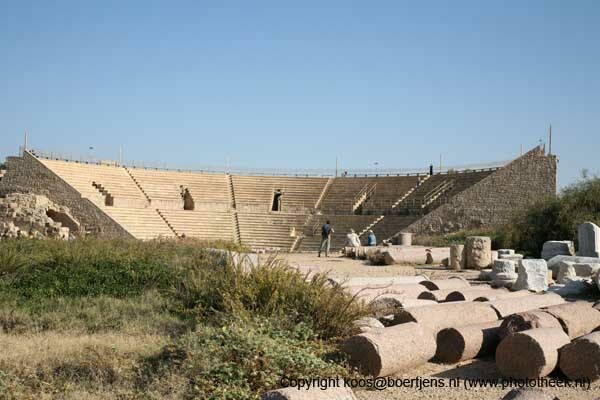 Thanks to friends in kibbutz Sdot Yam (near Hadera) it was possible to travel each day. Special thanks to Yaël Artsi and her husband Ury, who were so kind to invite me and let me stay in their home. The trip to the border of Libanon was very impressive. I thank Daniël and Annie for taken me with them. Enjoy the pictures. On the website www.mooiholland.nl I show pictures of the Queen of Holland and the Royal Family. 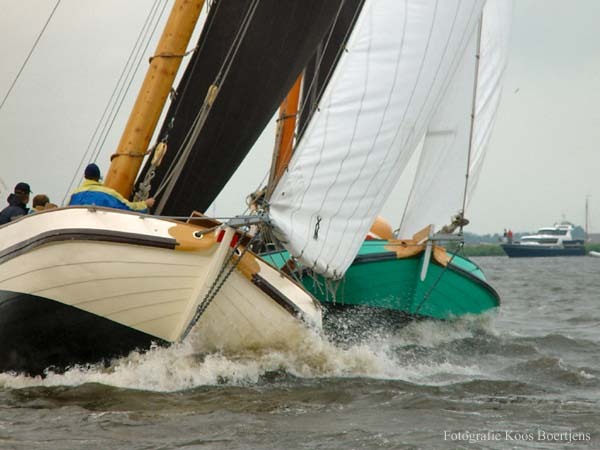 Of course you find here also the pictures of typical Dutch sports such as skûtsjesilen. Other websites about Holland are: Mooi Friesland, Mooi Groningen and Bouw Eemshaven. I made two trips to Norway. 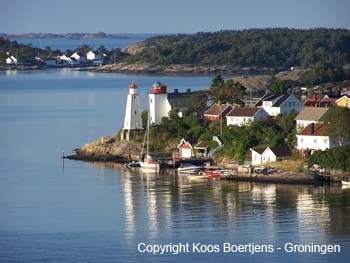 The first trip to Oslo and Arendal in 2006 by motorbike with my brother Joop. This summer with my wife to Bergen, Hardangervidda and Oslo. Norway is a beautifull country with very kind people. Driving is slow because of all the mountains and hills and this gives a feeling of easynes which we often miss in Holland. On the Hardangervidda glacier I could make some panorama photos which you can also see in QuickTime. We visited the houses of Ole Bull, Edvard Grieg and the museum of Edvard Munch. In Oslo we went to the Fram, the famous polarship of Peary and Amundsen. 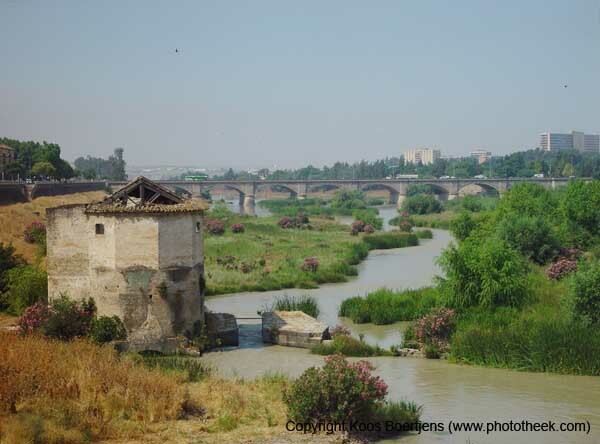 The pictures of Spain were taken during several visits to this beautiful country. As my daughter studied the flamenco guitar in Sevilla (Andalusia) I had the oppertunity to visit this town often. On other occassions I went to Girona, Barcelona and the coast of the Basque country (San Sebastian, Vitoria, Bilbao). I hope you will get an impression of Spain by viewing my pictures. After reading all the books of Henning Mankell and his alter ego the detective Kurt Wallander I wanted to visit Ystad in Skane. 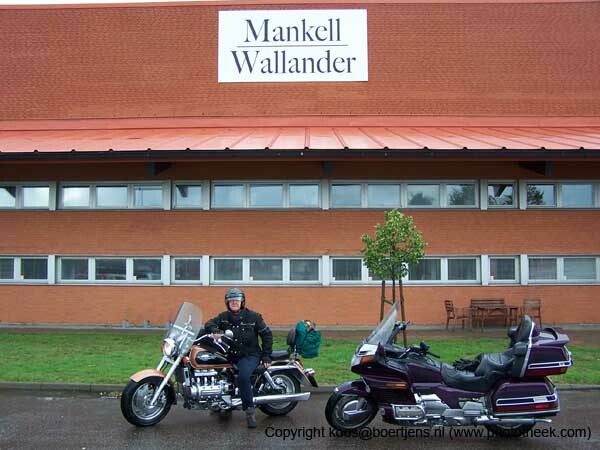 Together with my brother Joop we went om motorbike to Malmö and then Ystad in the south of Sweden. Although it was rainy we had a fantastic stay. With the help of a guide we saw the house were Kurt Wallander 'lives' and visited the studio where the serie was filmed. We visited the village Löderup where the father of Kurt 'lived'. Fiction and reality melted together during our stay, which was a very unique experience.